It's one of those things in life that can make you struggle to get to sleep, make you sneeze constantly, and generally, can result in you feeling miserable all the time. Allergies can turn a little sniff into a full blown sneeze attack, stopping us from doing many of the activities we love, especially outdoors. And sometimes, we don't even consider our symptoms allergies, especially if we've been living with them for so long. But as allergies are so common, is there truly anything we can do to identify the source, and fix our symptoms, once and for all? Ultimately, if you've got a collection of itchy spots, or anything that's relating to a cold or hay fever, what you need to do is build up a log of these symptoms and when they occur. It's one thing having the symptoms all the time, but if they flare up due to something like stress, or there's a very simple explanation for it, you can take the appropriate steps to minimize the root cause. If you are sneezing all the time, and it's only confined to the home, the causes could be various, they could be due to increased dust, or it could be due to something like your HVAC system needing a clean. It's important to note that, as far as ventilation is concerned, this can easily throw dust and allergens into the air. As such, getting an HVAC company to make the necessary alterations can mean that you will have isolated the source, and it's just a case of keeping on top of it. But, before you get to any of this, it's important to really determine the time and location of these things, as well as your own issues in life. One of the quickest ways to establish if you have an allergy is to go to a specialist that can do a scratch test. This means that they will check your allergic reactions against various allergens and if they have a significant reaction on you by a small part of your skin that's exposed. This is a very straightforward process, and if you find that you have an abundance of allergies, they can point you in the right direction so you can minimize these in your life. The great thing about finding that you have an allergy to something means that you can finally stop playing detective. It's not just about visiting an allergist, but there are ways for you to see if you have a specific reaction to something. Foods are a very good example, because now, with gluten intolerance on the increase, you could notice that by consuming a specific food item and noting your symptoms afterward, could very easily identify the root cause. 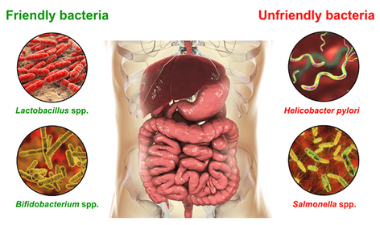 There has been an interesting parallel being drawn with allergies and gut bacteria. As these days, we are incredibly reliant on antibiotics to get rid of any ailment, rather than giving our bodies the chance to fight off the infection, the antibiotics rid us of important bacteria which can give rise to increased allergies. Food allergies are seen to be a modern phenomenon that can be linked to a lack of good gut bacteria. And this is something worth bearing in mind if you are just discovering an allergy. Something that you've been eating for many years may now cause an abundance of allergic reactions, and if this is a suspected reason, it's a combination of doing an elimination diet just to make sure what you are allergic to, but also, working at building up your gut bacteria. And this can be done in many ways, but the common approach is to have more probiotics in your diet. Probiotics are good bacteria found in yogurts, but they only provide a small amount. It's far better for you to get probiotics from sources like kefir, kombucha, as well as any pickled or fermented foods, like sauerkraut. But in addition to this, you can find ways to feed your gut bacteria by consuming prebiotics, which can be found in foods like sweet potatoes and chicory. If you have spent a long time consuming unhealthy foods, or foods that your body struggles to digest, as you age, your allergies will increase. And so, if you suspect it to be a food that's the culprit, your gut bacteria may provide the solution. As soon as you've discovered what the root cause is, it becomes easier for you to avoid the allergens in everyday life. Living with an allergy can be miserable if you don't know what the underlying cause is, but once you've discovered what it is, and you make the appropriate steps to minimizing the symptoms, either by taking medication or avoiding the items that cause an allergic reaction, you can breathe a sigh of relief. It's far easier now, especially when it comes to food, that you can pick an option that's not got milk or wheat in it. And the best way to live with an allergy is to make sure you have a sense of control over the issue. As such, you've got to be quite strict in the sorts of food you eat. Some people who are allergic to wheat feel that they can get away with having bread because they're socializing, but they end up suffering for it the next day. For other people, the reactions are far more severe, like anaphylactic shock. Identifying allergies is far easier now, and living with allergies is definitely easier than it was a few decades ago. But a lot of people decide to ignore these symptoms and live a miserable existence despite having an allergen. But, it shouldn't be like this, and if it's something that you are suffering from, take it upon yourself to get checked out.